New Jersey’s online gambling regime is still in its infancy, but early indications are that those who wager online are not the same gamblers who visit casinos. Online gaming site operators in the Garden State are dutifully studying the regions in which their Internet customers are logging in from. Although a good number of those wagering online are located relatively near the state’s 11 casinos in Atlantic City, the fear that land-based gambling revenue would suffer as a result of online operations can thus far be discounted. We’re not seeing cannibalization, Caesars Interactive Entertainment spokesman Seth Palansky told the Press of Atlantic City. The people online are people that haven’t visited us in a while or are new players all together. The belief that online gambling might eat up revenue currently enjoyed at brick and mortar casinos has long been a concern of New Jersey and other states that may be considering enacting Internet gambling legislation in order to generate revenue. Several states that have made waves regarding getting into the game have instead waited on the sidelines in order to first see how the situation plays out in New Jersey. While the early results are encouraging, Palansky warns that a bit more time is needed in order to get a reliable sample. This is only our first 100 days in the market, he said. Similar numbers have been reported from the Borgata Hotel Casino & Spa, currently the market share leader in New Jersey’s Internet gambling scheme. Borgata reports that 85% of online gamblers accessing its sites have not been rated at the land-based casino within the past two years. Like Palansky, Borgata Senior Vice President Joe Lupo also was hesitant about putting stock in the data at such an early point in the game. 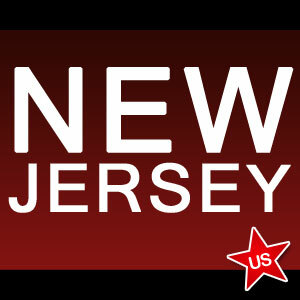 With Internet gambling in New Jersey in operation for only four and a half months, Lupo did not want to rule out the curiosity factor with regard to players logging on. In any event, the fact that the early numbers show that revenue at Atlantic City casinos is not being cannibalized by regulated Internet gambling will undoubtedly cause other states to take notice. It may prompt a number of states to begin looking at igaming legislation a bit more seriously.